“Department of Defense, NCIS and [the Defense Criminal Investigative Service] have been seen on site,” according to NBC 15 in Mobile, Ala.
An Austal USA spokesman did not provide additional information when contacted by USNI News. U.S. Navy officials referred USNI News to the Department of Justice when called for comment. 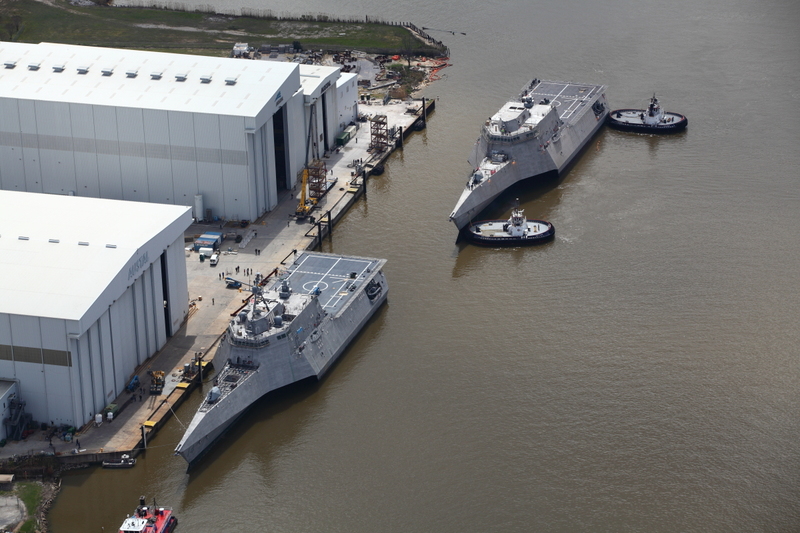 “The LCS program is maturing more slowly than we had expected, however we are working hard to manage the risks and expect an improvement across the program after delivery of LCS 10,” Andrew Bellamy, who then served as Austal’s chief executive, said in the December 2015 release. A significant portion of the company’s loss for the year was the US $115 million charge Austal recorded to account for the increased cost in LCS construction. The sudden increase in cost was related to work required to make the ships meet the Navy’s military shock testing, according to a July 4, 2016, release from Austal. Jackson conducted full ship shock trials in June and July 2016, which required the shipyard to prepare for the trials and then conduct maintenance afterwards to repair anything that broke during the underwater blast.